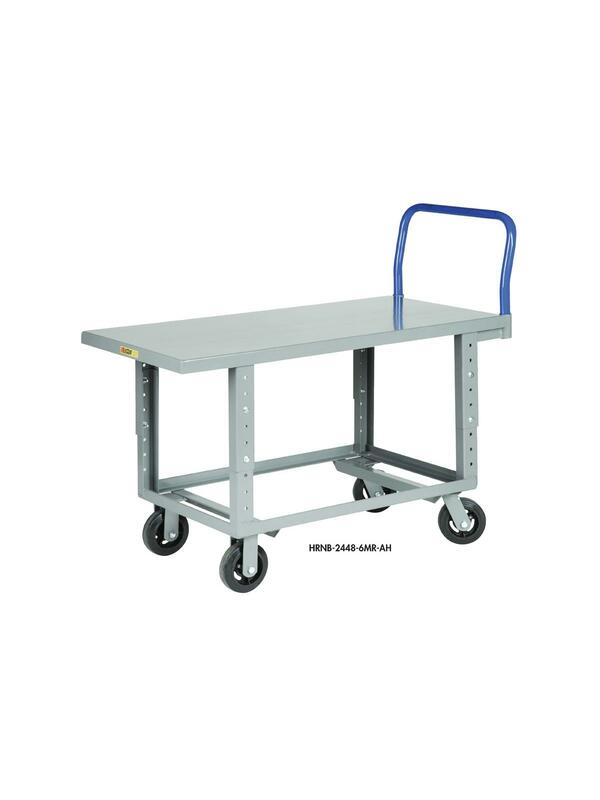 Ergonomic Work-Height Platform Trucks | Shelving, Inc.
Ergonomic Work-Height Platform Trucks have a comfortable deck height which reduces bending and back strain. 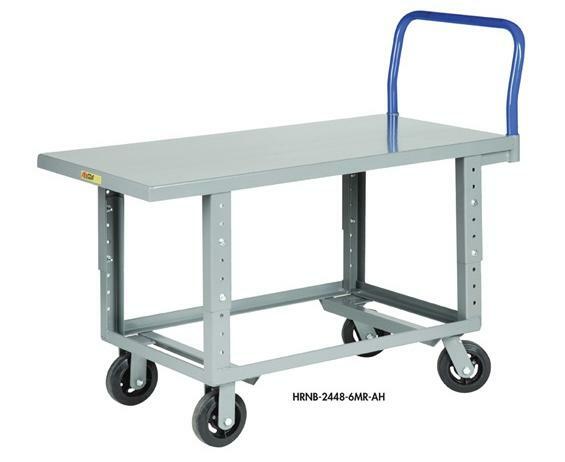 Adjustable Work-Height Platform Truck deck is adjustable from 24" to 34" in 2-inch increments to customize your work height. Heavy 12 gauge steel deck won't splinter or warp. Pushbar handle extends 14" above the deck and is removable to create an unobstructed deck surface. 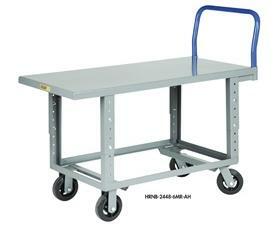 6" x 2" mold-on rubber casters, 2 swivel and 2 rigid. Available with Flush Edge or 1-1/2" Lip Edge. FOB Shipping Point.